From Sakyamuni to the fifth Ancestor, Hong Ren in the eastern land（China）, the Buddhist Dharma Lineage has been passed for 32 generations. During this period, the Orthodox Dharma of Buddha´s Heart-Mind was the “Nature Truth” conveyed from heart to heart, symbolized by the descending of “Kasaya and Bowl”, which means the Dharma and theTeachings are one. Starting from 5th Ancestor, Zen Dharma was divided into the South Zen Sect and the North Zen Sect. Hong Ren, the 5th Ancestor, passed the Heart Intuitive Dharma to the “grandson” generation but not the next generation.He handed down the “Kasaya and Bowl” to the 7th Patriarchal, Qing Yuan Xing Si. 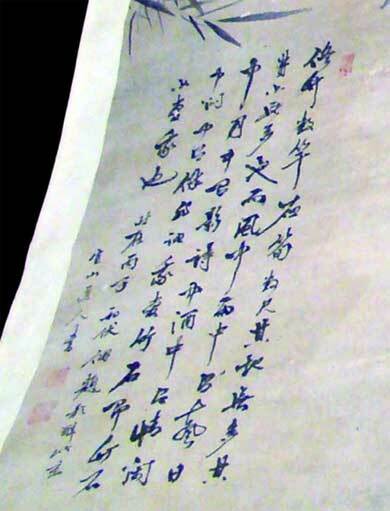 Since then, “Kashaya and Bowl” has been handed in secret, and “Yi Shan Painting” which was drawn by Qing Yuan Xing Si,the 6th Ancestor 7th Patriarchal of Zen Dharma, has been symbolizing the Orthodox Dharma lineage. 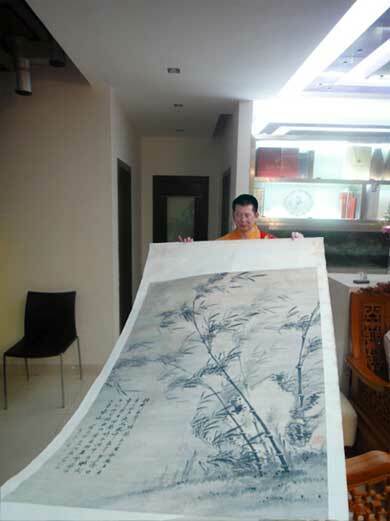 From then on, the place where “Yi Shan Painting” is, represents where the lineage of Orthodox Dharma locates. 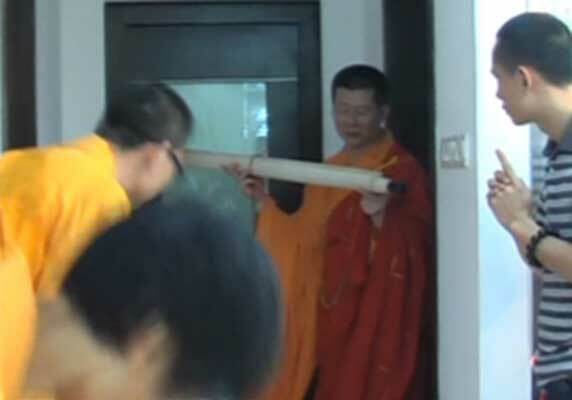 In 1993, before the Abbot of Shao Lin Monastry, De Zhen, passed away, he passed the Symbol of Orthodox Dharma – a Shao Lin Treasure “Yi Shan Painting” to His Holiness Vairocana Xing Wu(Mr.Wu Ze Heng), the 32nd successor. 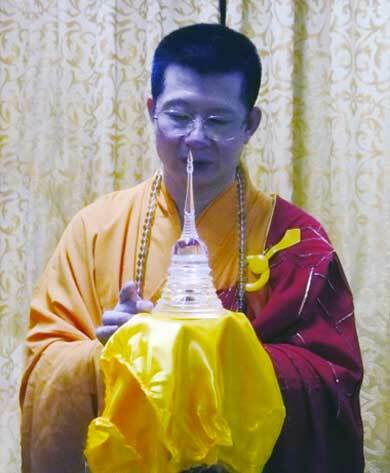 On 23rd September 2010, in Zhuhai, Guangdong Province, His Holiness Vairocana Xing Wu displayed the Holy Blood Relic of Buddha, and the “Yi Shan Painting”– a treasure previously housed in Shao Lin Monastery for the first time. Thus HE publicized his status as a successor of the Orthodox Dharma Lineage on the mainland of China for the first time. Jianlian Venerable´s holy blood relic. which Shakyamuni Buddha lost when he was enlightened. the 7th Patriarchal 6th Ancestor of Zen Dharma. 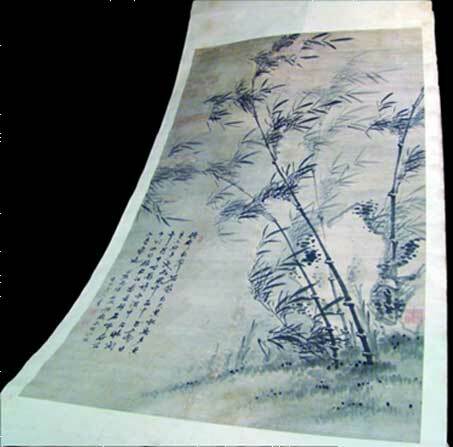 painted by Qing Yuan Xing Si, the 7th Patriarch 6th Ancestor of Zen Dharma.